The Emory Healthcare Veterans Program has been selected by the national Wounded Warrior Project (WWP) to participate in a first-of-its-kind national medical care network. Warrior Care Network will connect wounded veterans and their families with individualized care for two of the most commonly experienced wounds from the conflicts in Iraq and Afghanistan: posttraumatic stress disorder (PTSD) and traumatic brain injury (TBI). Emory joins Massachusetts General Hospital, University of California Los Angeles and Rush University Medical Center in the network initiative. "Emory is privileged to be part of this collaborative effort to develop innovative approaches to treating, and ultimately healing, the individuals who have made tremendous sacrifices in serving our country," says James W. Wagner, Emory University President. "The blending of expertise from Emory's Veterans Program, led by Dr. Barbara Rothbaum, with the world-class clinicians at our partner institutions, creates a vast platform for offering leading-edge treatment of our service members." The more than $15 million grant from WWP requires that each of the sites raise $7.5 million over a three-year period. "We are proud to serve this generation of veterans and their families in healing the invisible wounds of war, and thrilled to be joining Wounded Warrior Project and our esteemed academic medical partners in this endeavor," says Rothbaum. 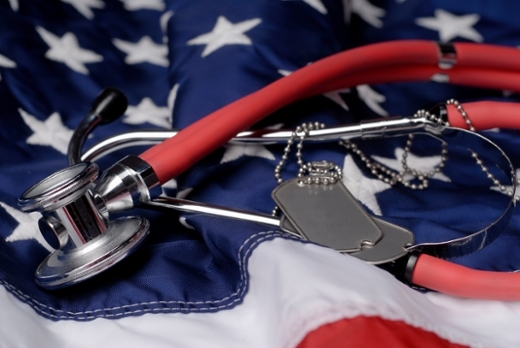 "We will welcome veterans with our passionate, compassionate, and expert providers. Together, we will make a difference." Rothbaum is the Paul H. Janssen Chair in Neuropsychopharmacology, professor in the Department of Psychiatry and Behavioral Sciences, Emory University School of Medicine and director of the Trauma and Anxiety Recovery Program at the Emory Brain Health Center. She has specialized in research and treatment of service members with PTSD for more than two decades. "A benefit of this national partnership is the opportunity to bring even more resources to help meet the needs of Veterans and their families," adds Mark Hyman Rapaport, MD, Reunette W. Harris professor and chair of the Department of Psychiatry and Behavioral Sciences at Emory University School of Medicine. Emory's expanded outpatient program is expected to be up and running by the fall of 2015. For additional information, email veteransprogram@emoryhealthcare.org. The Emory Brain Health Center provides comprehensive, coordinated, family-centered care for patients with neurological and psychiatric disorders in the Southeast and beyond. The Center seeks to prevent brain diseases and transform care through continued innovation and learning, interdisciplinary state-of-the-art research, and partnerships with investigators, patients and their families. Funded in part through generous support from the Robert W. Woodruff Foundation, the center is uniquely positioned to provide a collaborative clinical and research environment, as well as educate the next generation of health professionals.